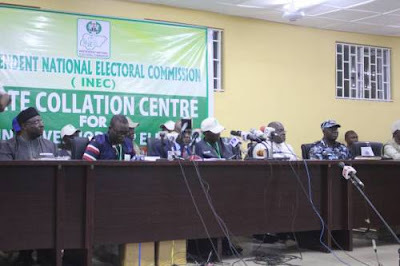 INEC Chief Returning Officer in the 2018 Osun election, Professor Adeola Joseph Fawupe has declared the state governorship election's results inclusive. According to the Returning Officer, the declaration of inclusiveness of the poll is necessary because the number of cancelled votes is higher than the margin between the top two candidates' votes, which is a difference of 353 votes. The PDP candidate, Senetor Ademola Adeleke scored a total of 254,698 votes, while is closest rival, the APC candidate, Alhaji Adegboyega Oyetola polled 254,345 votes. The number of voided votes was 3, 498. Meanwhile, supplementary election is to be held in the state to determine the eventual winner in a date yet to be announced, as press conference with journalists is due to hold later today.